In the frame of the 3 consecutive projects GISALI, GISALI-ACcESS and ELiPSe the Karlsruhe Institute of Technology, the Fraunhofer Institute of Applied Solid State Physics (IAF), the University of Stuttgart and the Radiometer Physics GmbH (RPG) developes a technology platform for broadband satellite communication in the 71 to 86 GHz frequency band, based on millimeter wave monolithic integrated circuits (MMICs) with power efficient GaAs- and GaN-based transistor technology and performes an extensive feasibility study. It includes transmit and receive modules, carrier frequency generation and demonstrator with integrated antennas. This high data rate communication system can furthermore be used to deliver internet service to rural areas using baloons or drones. 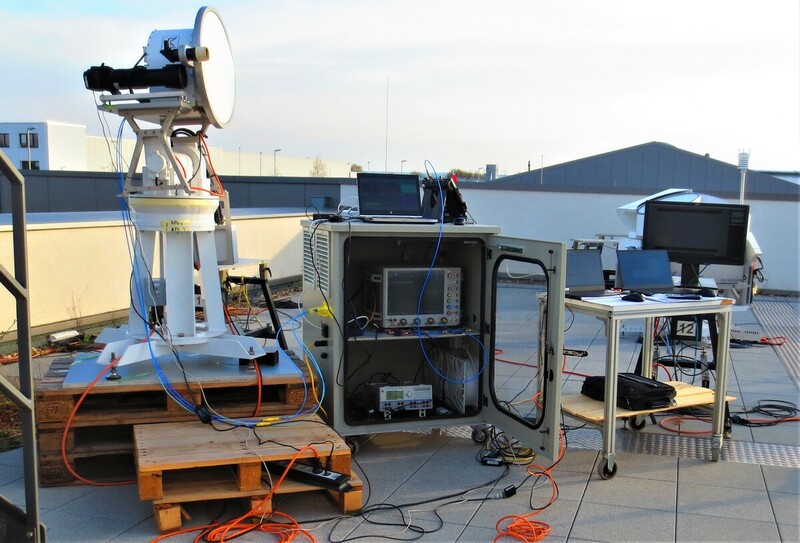 The performance of the technology was demonstrated during several terrestrial wireless data transmission experiments . The experiments show at distances of 15.7 km and 37 km a maximum data rate of 15 Gbit/s and 6 Gbit/s respectively. 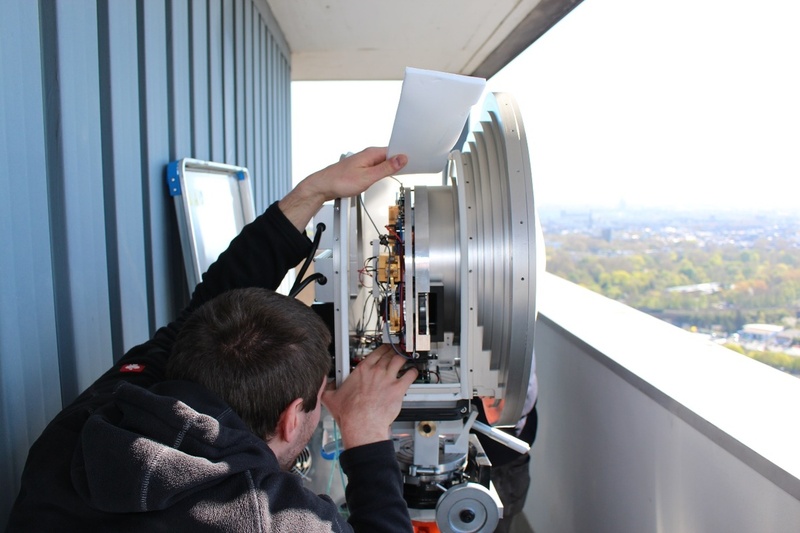 Moreover, a communications link between a ground station and an airplane with data rates up to 8 Gbit/s was achieved. For the test fligths an airplane at an altitude of 3200 ft was flying semicicles with radii ranging from 5 km to 12 km around the ground station . In the laboratory data rates of even 80 Gbit/s could be demonstrated at a center frequency of 77 GHz . Further project goals are the development and demonstration of critical functionalities and subsystems, to upgrade the current technology platform for the use of future satellite communication scenarios.